Gail Diederich returns to City Lights Bookstore for a special story time on Saturday, October 20th at 11 a.m. The author of several children’s books, she will read her latest, I’ll Take Care of Violet. An African Violet family spanning 25 years provides the background for a gentle story told in the voice of Violet, the potted plant in the middle of three generations. To reserve copies of I’ll Take Care of Violet please call City Lights Bookstore at 828-586-9499.
what they don't see is his magnificent courage. Cecil knows that the bullies are wrong about him, and to prove it he focuses on a new goal: he will become a great surfer! With the help of his Uncle Juba, Cecil learns how to master even the biggest waves. Armed with his new skills and confidence, Cecil shows everyone that if you believe in yourself, you can accomplish great things--no matter your size. 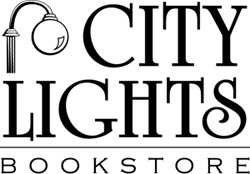 Rosalind Bunn will return to City Lights Bookstore on Saturday, June 24th at 11 a.m. for a special storytime. Rosalind teaches at East Side Elementary in Marietta, Georgia. She has three grown children and a new grandson. Rosalind has co-authored three children's books with a dear friend, Kathleen Howard. Her newest book, Thunder & a Lightning Bug Named Lou, is illustrated by Angela C. Hawkins and was released in December 2016. Her other titles are Whose Shadow Do I See?, The Monsters Three, Sophie May and the Shoe Untying Fairy, and The Butter Bean Lady. To reserve copies of her books please call City Lights Bookstore at 828-586-9499.